I Spy Animals: What is this creature? too big for some sort of possum and too dog like to be a type of cat(lynx)so I whould say some sort of albino raccoon.I think it is some sort of raccoon or a VERY large type of rodent but I think it's more of a raccoon. Is it a tiger quoll? A large marsupial. 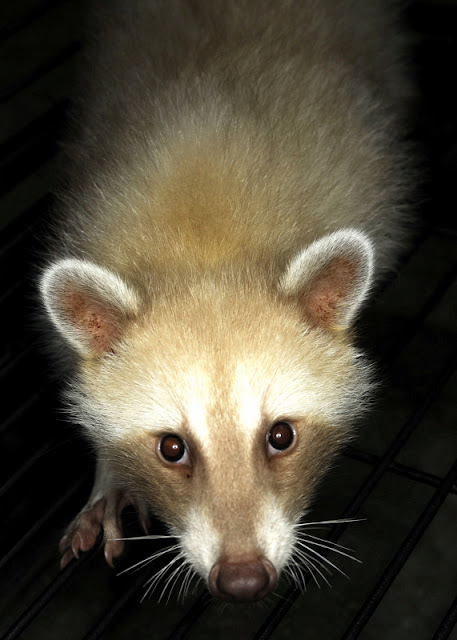 It's a North American raccoon with a color mutation. Google "blonde raccoon"